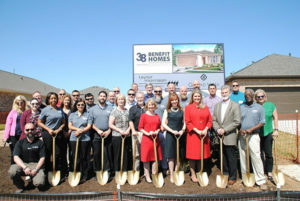 Key players in the 2018 Benefit Home gather for a groundbreaking in Taylor Morrison’s Grand Vista community in Richmond, Texas. GHBA members gathered at the new community clubhouse in Grand Vista to help mark the official groundbreaking of the first GHBA Benefit Home for 2018. Taylor Morrison and several guest speakers led the ceremony. 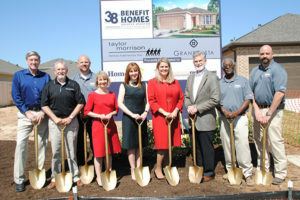 From Taylor Morrison were Amy Rino, president of the Houston division, and Bill Dalton, vice president of land and president of HomeAid Houston, one of two project beneficiaries. Also speaking were Cindy Hinson, Benefit Homes chair; Casey Morgan, GHBA CEO; Lee Kirgan, vice president of construction for Operation Finally Home, a beneficiary of the project; and Elaine Petranek, Boys and Girls Country. Taylor Morrison is building its Rosebay Plan in the community of Grand Vista. Each year two to three homes are built for this GHBA charity fundraiser with donated land, construction management, materials, labor and services by association members. These homes are constructed with upgrade materials and features and are sold at market value. Since the project began 38 years ago, more than $10 million has been raised. 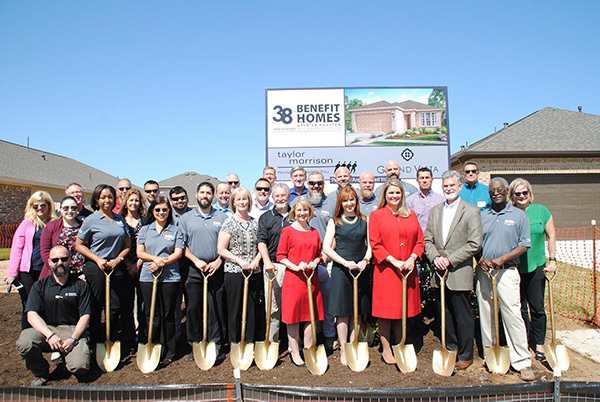 “It was such an incredible event to mark the beginning of construction with the dozens of vendors and special guests who joined in the groundbreaking celebration,” said Cindy Hinson. “All Benefit Home groundbreakings are huge milestones for the charities and the entire Benefit Homes team of vendors, trades and the builder/developer teams. The energy and excitement of the occasion is an inspiration to everyone who attends,” Hinson added. 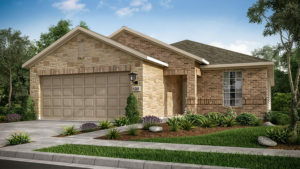 Located in the highly-desirable city of Richmond, Grand Vista is ideal for today’s homebuyers seeking all the advantages of contemporary suburban living just 30 miles from downtown Houston. Grand Vista covers 620 acres including 150 acres of parks, open space, and recreational amenities such as two community clubhouses and pools plus playgrounds for the kids. The community offers one- and two-story floor plans from three, distinct Taylor Morrison Collections: the Chalet Series, Villa Series and Chateau Series. Each home offers gourmet-inspired kitchens, large first-floor owners suites, and energy saving appliances. New Taylor Morrison homes at Grand Vista are priced from the upper $100,000s to the $400,000s. With easy access to the West Park Toll Road and the Grand Parkway, Grand Vista is close to plenty of retail and entertainment, including the Katy Mills Mall, a 1.3 million square foot retail and entertainment destination with more than 200 stores, restaurants, and a 20-screen movie theater. Students who reside at Grand Vista can attend highly acclaimed Fort Bend ISD schools, including Patterson Elementary, conveniently located within the Grand Vista community, Crockett Middle School and George Bush High School. 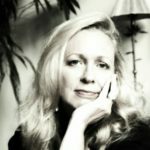 A writer and a photographer, Terry Swenson is GHBA's Director of Public Relations. She is also the founder of the PictureThis Project, which puts cameras in the hands of Houston's homeless and allows them to share their story, through their lens.